A line of replacement CO2 nozzles offered in various materials and configurations for popular CO2 lasers such as Trumpf® and Mitsubishi® is being introduced by Laser Research Optics of Providence, Rhode Island. LRO CO2 Laser Nozzles are available in brass, copper, aluminum, and ceramic with straight and tapered tips from 0.375” to 0.96” long, thread sizes from 1/4” to 5/8”, and optional brass nozzle lock rings. 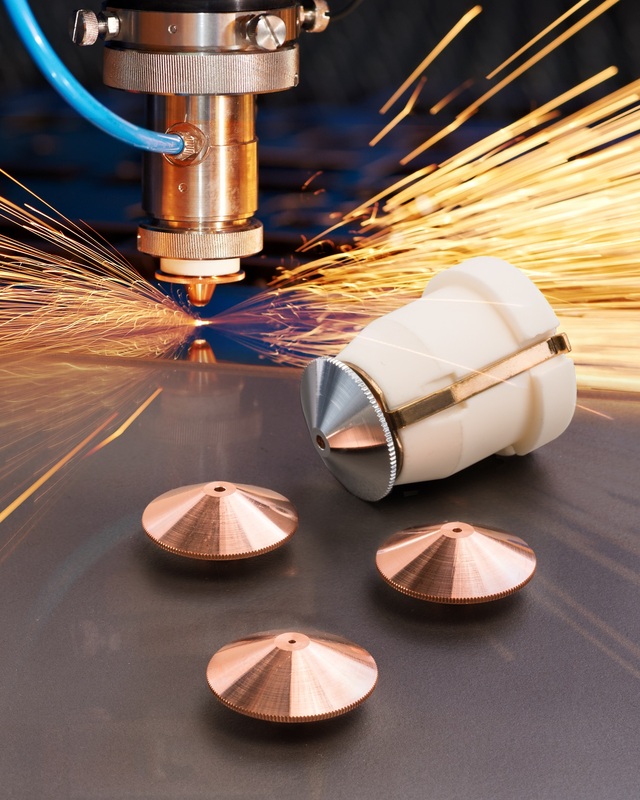 Supplied in 1.2mm, 1.5mm, and 2.0mm orifice sizes, they direct the focused cutting beam and are designed for Trumpf®, Mitsubishi®, and other popular CO2 lasers. Featuring ±10 micron orifice size accuracy to optimize cutting performance, LRO CO2 Laser Nozzles are compatible with mechanical or sensor heads. Cylindrical configurations are suited for low pressure cutting with oxygen and conical are recommended for high pressure nitrogen or argon cutting. LRO CO2 Laser Nozzles are priced according to configuration and quantity; shipped from stock. Literature and pricing are available upon request.